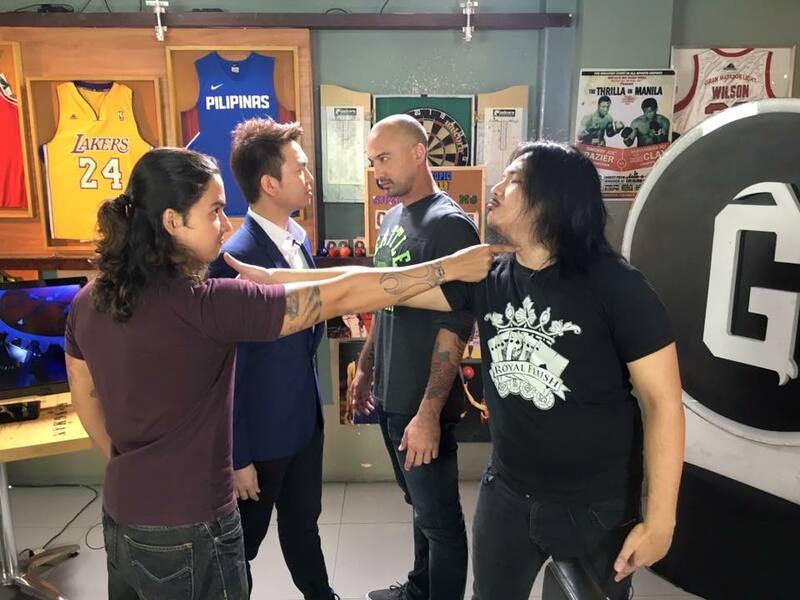 Wrevolution X's first match was just announced last night on FOX Philippines' The GOAT, and this is as monumental as it gets! Photo taken from Mr. Sy's official Facebook page. Chris Panzer will finally get his hands on The Royal Flush's John Sebastian, after the Acehole screwed over Papa P during the 3-Way PHX Title Match last February at PWR Live: Manila Madness. It was inevitable that Panzer would want revenge against Sebastian, but nobody expected the turn of events that would take place on cable television. Video taken from the PWRtists Facebook page. On the April 14 episode of FOX Philippines' The GOAT, Mr. Sy and host KC Montero suddenly got involved in the rivalry between the two young guns of the company, with Montero siding with the master of the Killshot and Mr. Sy siding with the man from Motor City. This led to the match announcement at PWR's Wrevolution X, where if Panzer wins, the brash host will be removed from the sports program. But if Sebastian wins, Mr. Sy will be forced to give up his position as its General Manager, changing the company's landscape forever. With two jobs on the line, will Panzer finally get an important win in his career while forcing KC to look for another show, or will the Acehole continue his winning ways and end up ousting PWR's beloved GM? What measures will KC and Mr. Sy take to ensure that their bet comes out of this match the victor? Find out this May 28 if, in the words of Mr. Sy, "heads will roll" at the 2nd annual Wrevolution X! PWR will be stopping by Paranaque on April 23, Saturday, as it hosts PWR Live: The Road to Wrevolution X. Tickets are priced at P299. To get the latest announcements regarding their next show, sign up for the official event page.